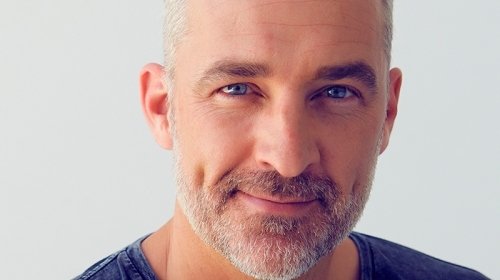 As one of Australia’s most respected media personalities, Andrew Rochford has certainly made a name for himself in recent years. 2011 saw Andrew enter a new and exciting role of co-hosting Sydney’s Mix 106.5 radio station’s breakfast program, “The Brighter Side of Breakfast with Clair Hooper”. With his slick intellect, wit and genuinely engaging style, Andrew ensured the breakfast program was always topical and entertaining. Not only is Andrew recognised as an accomplished radio presenter, he currently also appears on the popular Channel Ten program “The 7pm Project” as a weekly panelist and fill-in host. It was then announced in late 2011, that Andrew would host Channel Ten’s new morning show, “Breakfast”. The show is set to launch in January 2012 and rival “Sunrise” and “Today”, with a new fresh approach to breakfast television. Formerly known as the Block Doc, Andrew became known to Australia’s TV viewing public for his stint on the 2004 series of “The Block” with his partner Jamie, where they subsequently won the series. Since appearing on the show, Andrew joined the “What’s Good For You” team on the Nine Network as the resident medicine man and human guinea pig. Andrew has also presented on Nine’s, “Waiting Room”, a medical-based factual reality program, a series called “You Saved My Life” as well as narrating and hosting “Amazing Medical Stories”. Providing people with a credible insight into modern day medicine and health goes hand in hand with his work as an Emergency Registrar at the Royal North Shore Hospital. Andrew is a Graduate of The University of Sydney Medical School (Bachelor of Medicine/Bachelor of Surgery), completing the graduate medical program with honours. To compliment this he also holds a Bachelors Degree in Medical Science from the University of Sydney, majoring in Anatomy and Neuroscience. Andrew has also been published in the journal Neurosurgery as part of a research project for the Cerebrovascular Centre at Royal North Shore Hospital, Sydney. His specific medical interests include Trauma, Critical Care and Preventative Medicine. It is as if Andrew isn’t busy enough juggling a media career, working in the hospital and being a father of three young children – a boy and twin girls; Andrew is also the medical spokesperson for Jenny Craig, encouraging Australians to lose weight for a healthier lifestyle and an ambassador for Drink Wise, which seeks to promote a change towards a more responsible drinking culture in Australia. It is the combination of Andrew’s unique ability to be sincere yet entertaining, that has earned him a broad appeal with a national audience. Andrew continues to be in high demand as Australia’s most popular talent.